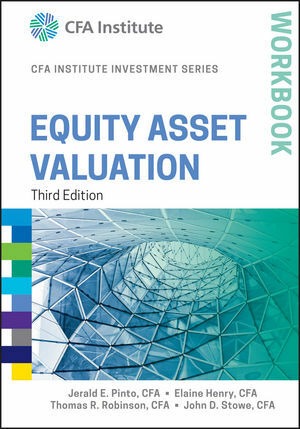 Equity Asset Valuation Workbook, Third Edition was designed as a companion to Equity Asset Valuation, Third Edition, the most comprehensive text on this subject available on the market. 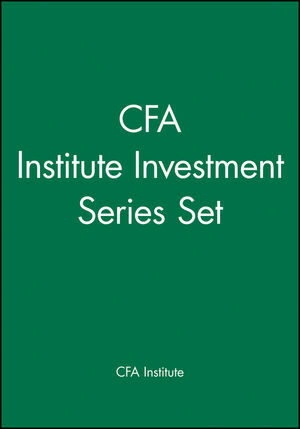 This workbook provides key study tools, such as learning outcomes, chapter summaries, practice problems, and detailed solutions, that guide you in your preparation for the third step in the CFA certification program. These features reinforce essential theories and their practical application, and assist you in understanding the core concepts behind these theories, as well as when and how to implement them. Integrating both accounting and finance concepts, the workbook and its companion text offer a collection of valuation models—and challenge you to determine which models are most appropriate for given companies and circumstances. When you make an equity investment, you purchase and hold a share of stock. Through the payment of dividends and capital gains, this investment can result in income that can boost the performance of your portfolio—but determining which investments are going to be profitable and which are best passed over is key to building a successful equity investment strategy. 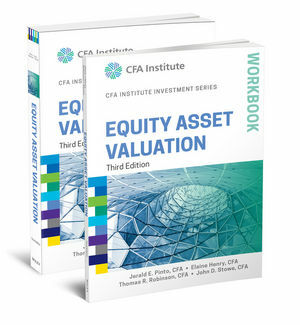 Equity Asset Valuation Workbook, Third Edition complements the revised Equity Asset Valuation, Third Edition, and guides your study efforts for the third step in the CFA certification program. JERALD E. PINTO, PHD, CFA, has been at CFA Institute since 2002 as Visiting Scholar, Vice President, and now Director, Curriculum Projects in the Credentialing Division for the CFA and CIPM Programs. ELAINE HENRY, PHD, CFA, is a Clinical Associate Professor of Accounting at Fordham University. THOMAS R. ROBINSON, PHD, CFA, is president and CEO of AACSB InternationalThe Association to Advance Collegiate Schools of Business (AACSB). JOHN D. STOWE, PHD, CFA, is the JPMorgan Professor of Finance at Ohio University.